I really struggled with breathing before Yoga. I didn’t even realise I wasn’t breathing properly until I began practising Yoga. Then I realised that years of mental stress and back pain had led to me only ever taking half-breaths. Or no breaths at all, if I was concentrating, thinking hard, or doing anything tricky! 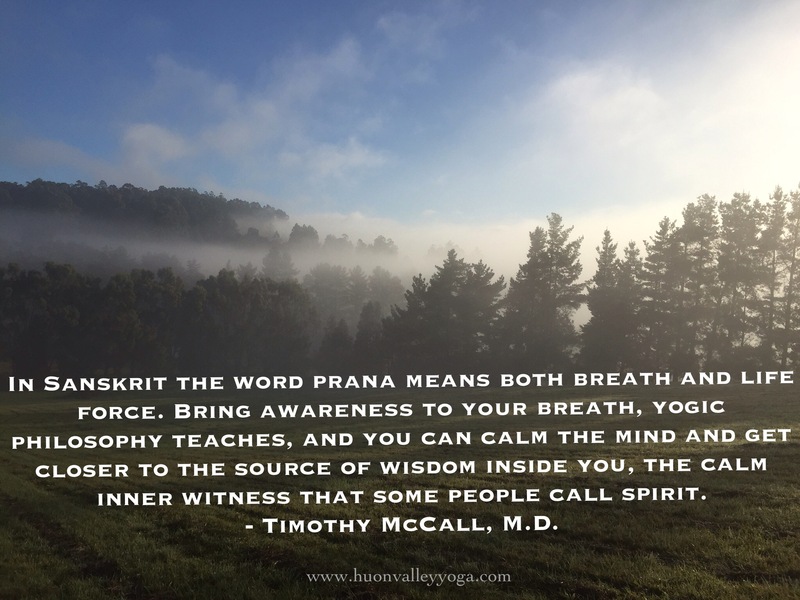 Yoga gave me a chance to notice this, every time I held my breath, as I tried to balance, or learn a new Asana, or as I just sat and watched my breath (or lack of it!). Gradually, I started to notice whenever I held my breath in my daily activities outside the Yoga class, and eventually I learned to breathe again. Breathing fully, (especially when things are tricky), has made such an enormous difference to my state of mind, my back health and my energy levels and general well-being that it’s now one of my favourite things about Yoga. I love being able to take a full, deep rich breath with no back spasms. I love the fact that I can ground myself, feel more focused, more calm and centred, using my breath. Mindfulness of the breath is one of my favourite things to share with my Yoga community now. Because I struggled so much with breathing myself, I remind everyone of their breathing often, and I can certainly empathise when beginners feel shocked as they discover how often they’re holding their breath. That’s why I wanted to offer this breath awareness recording as a gift to everyone on this third birthday of Huon Valley Yoga. You can use it as a meditation, as a relaxation to relieve stress, for pain relief, or even before bed to help you sleep. Please feel free to share it with anyone you think might find it useful. Please just also tell them it’s with love from Huon Valley Yoga. With deep gratitude to the Huon Valley Yoga community, to all of you dear friends who have helped us grow in the last three years, and to all the friends we’ve yet to meet, I hope you enjoy this recording. Thank you Alison, that was so relaxing. Thanks for listening & commenting Helen!